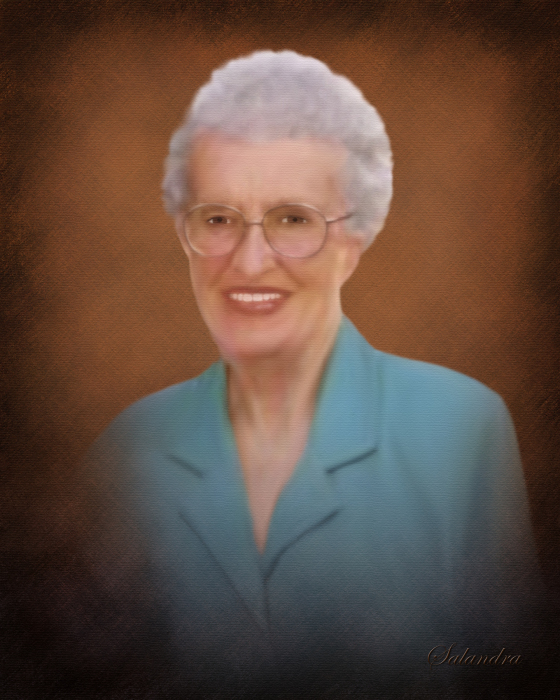 Obituary for Dorothy A. Gorup | Salandra Funeral and Cremation Services, Inc.
Dorothy Klobucher Gorup, known affectionately by her family as "Do Do", was born November 14, 1924, in Strabane, one of six children of the late, George and Mary Zigon Klobucher. Dorothy was a member of SNPJ Lodge 138, Strabane and the AFU Lodge 149. In her spare time, Dorothy shared her time and efforts by donating baked goods to The Slovenian Radio Hour Annual Picnic, St. Patrick’s Church Festival and numerous SNPJ Youth Circle 19 events. Her specialties were baking apple strudel, potice (Slovenian nut rolls), pizzelles, chocolate chip cookies, Texas sheet cakes and a variety of delicious cookies that graced the “cookie tables” at family events. As her brothers and sisters married and nieces and nephews were born, "Do Do" came alive with the heart of a loving sister and aunt. Along with her husband, she created amazing memories for their loved ones expressing her love through her passion for cooking “Chicken Soup”. Even though she was a Strabane resident for three decades, her heart was planted in her home in Shouptown, a part of Strabane where she was born and raised. Deceased, in addition to her parents, is her late brother William and a brother George who died at 11 months old. Along with a thousand loving memories to be cherished by everyone, Dorothy leaves her faithful husband of 64 years, Frank; her cherished sister in law, Kathryn (William deceased) Klobucher, Pittsburgh, brother, Edward, (wife, Lila), Hazel Park, Michigan, sisters; Josephine (George) Mikitin, Cecil Twp., Mary Jane (William) Prost II, N. Strabane Twp., Agnes (Edward) Engel, N. Strabane Twp. whose lives she impacted over the years. With the passing of time, Dorothy reached out to touch the lives and hearts of her nieces and nephews; William (Kathy) Klobucher, June (Robert) Bernard, Kathy Klobucher, Edward (Diane) Klobucher, Scott (Lia) Klobucher, Larry (late Janice) Johnson, Patricia Mikitin, Barbara Mikitin, William (late Worth) Prost, Peggy (Steve) McMahan, and Beth Ann (Ed) Manning, Edward Engel, and Allison (Gregory) Thompson, Michael (Erin) McMahan. Her love continued with the most recent additions to the family, her great-nieces and nephews, Emily and John Manning, Maxwell and Ian Thompson, and Caroline McMahan, who brought her many smiles and love while she resided at the Greenery Health Center and at Townview for more than four years. While residing in a nursing home, Dorothy cherished the care she received from the nurses, aides, and Hospice who were drawn to her genuine spirit of love, appreciation and witty humor – warmed by her twinkling eyes and beautiful smile. Her family says, "Dorothy, thank you for leaving us your legacy of love. We promise to carry it on!" For those wanting to honor Dorothy, in lieu of flowers, memorial contributions may be made to: Slovenian Radio Hour, 851 F. Street, Pittsburgh, Pa 15209 or a charity of one’s choice.